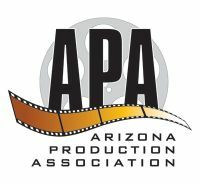 An acclaimed and intense professional 4-hour workshop geared toward producers, investors, filmmakers, directors, key crew, screenwriters, editors, journalists, actors and other working and successful creative professionals who want to produce films, TV and web series. This is an insider's no-bull, no fluff presentation of the real movie and television business that is great for industry pros and investors. Jim Jermanok is an award-winning writer, director and producer, creative success expert, consultant and speaker. Jim wrote and produced the highly acclaimed romantic comedy, "Passionada," which was released by Columbia Tri Star in over 150 countries. His latest film "Em" recently won the Grand Jury Prize at the Seattle International Film Festival and the Criterion International Inspiration Award. It was released recently by Vanguard Cinema and SnagFilms. He is also active in TV, Theater and New Media. Last year, Jim Jermanok wrote and directed "Homophonia," a political comedy film on gay marriage rights which has appeared at over 50 film festivals while winning several of them. Mr. Jermanok is a former ICM Agent who helped to represent Arthur Miller, Shirley MacLaine, John Chancellor, Ben Kingsley, Dudley Moore, Helen Hayes, Alan Arkin and General H. Norman Schwarzkopf, among others. Jim also speaks and conducts workshops worldwide on the subject of his 2016 upcoming book, BEYOND THE CRAFT: What You Need to Know to Make A Living Creatively, as well as Successful Film/TV Producing & Financing and The Art and Business of Screenwriting.